Create customized socks with the Sock Hoop Kit. The Sock Hoop is also great for wrist bands, gloves, pouches, and any other difficult to hoop items. The hoops are shown on the screen from the S folder. 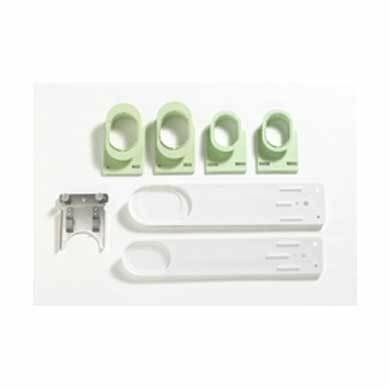 Set consists of two hoops for embroidering on socks and gloves in the sizes 58 mm x 79 mm and 48 mm x 71 mm and two devices which facilitates attachment of socks and gloves.